One of the things that is most notable about His leadership style is that He poured His life into the lives of a small group of men. You could mention the small crowds, you could mention the 70 that were sent out and you could mention the Twelve. And that would be appropriate. But consider for a few moments that He had especially intimate times with three – Peter, James, and John. These few comprised the absolute inner circle and as a result, they had the opportunity to see Jesus Christ close up as He walked the Earth for the 3 years of His public ministry. And they had an extremely close view of the events that lead up to His death on the cross. So, here is the leadership thought for this post: Who are you spending your time with? Who are you pouring your life into? If you are reading this and you are a father, then let me tell you who you need to be pouring your life into. It is that child or those children. Your leadership example will do more to determine the trajectory of their lives than just about anything else I can think of. Your example of loving and leading your family will establish the bar for how your children will lead and follow in their marriages and families as adults. And here is a bonus thought for today. 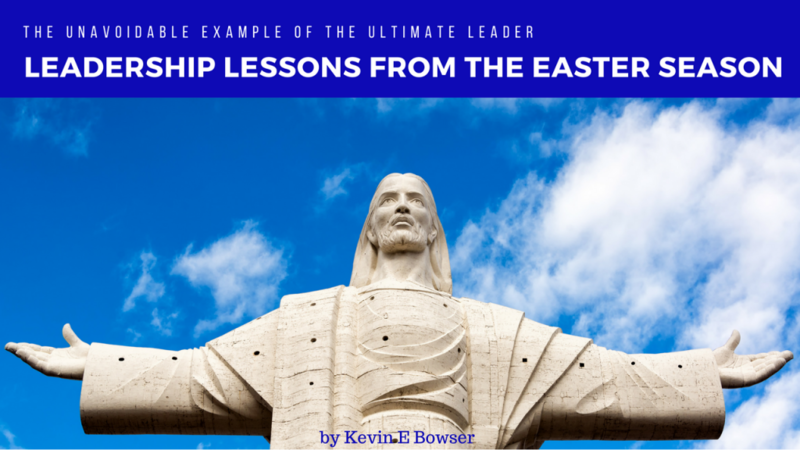 Jesus’ leadership continued beyond His death, His resurrection and His return to His Heavenly Father. His leadership continues today. And if you have accepted him as the leader of your life (as your personal Savior) then you will attest to His current and eternal leadership in the way you live your daily life. And it will make a difference in the way you lead your family. I hope you have the opportunity to read this in time to lead your family to worship this Easter. Do not send them to church to worship. Take them and lead them in worship.